Born and raised in New England and educated at Harvard, Adams moved in 1971 to California, where he taught for ten years at the San Francisco Conservatory and was composer-in-residence at the San Francisco Symphony. Adams’s operatic works are among the most successful of our time. Nixon in China, The Death of Klinghoffer,and Doctor Atomic, all created in collaboration with stage director Peter Sellars, draw their subjects from archetypical themes in contemporary history. On the Transmigration of Souls, written for the New York Philharmonic to mark the first anniversary of the World Trade Center attacks, received the 2003 Pulitzer Prize for Music, and won a rare “triple crown” of Grammy awards: “Best Classical Recording”, “Best Orchestral Performance”, and “Best Classical Contemporary Composition”. City Noir, a 35-minute orchestral work that takes as its jump-off point the “noir” sensibility of Los Angeles culture, was premiered by Gustavo Dudamel and the Los Angeles Philharmonic in a concert that was televised worldwide and toured the US. 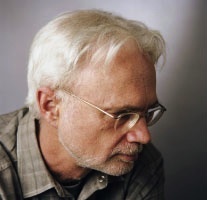 Adams has been awarded honorary degrees and proclamations by Cambridge University, Harvard University, Yale School of Music, Phi Beta Kappa, the National Endowment for the Arts, Governor Arnold Schwarzenegger of California, the French Legion of Honor, and Northwestern University, where he was awarded an honorary doctorate and the first Michael Ludwig Nemmers Prize in Music Composition. Nonesuch Records released Adams’s Harmonielehre in 1985, and all of his works since then have appeared first on that label. A ten-CD set, “The John Adams Earbox”, documents his recorded music through 2000. Adams’s much praised autobiography Hallelujah Junction (Farrar, Straus & Giroux) was named one of the “most notable books” of 2008 by the New York Times and was the winner of the 2009 Northern California Book Award for creative nonfiction. Adams also maintains a popular and controversial blog “Hell Mouth” about music, literature and politics. John Adams is active as a conductor, appearing with the world’s greatest orchestras. A regular guest at the BBC Proms, in recent seasons he has also conducted the London Symphony Orchestra, Los Angeles Philharmonic, and New York Philharmonic as well as orchestras in Atlanta, Amsterdam, Berlin, Stockholm, Pittsburgh, Montreal San Francisco, and Detroit. In 2011 he conducts six performances of Nixon in China, including a live international HD telecast, at the Metropolitan Opera.